Marketing activity makes up the bulk of total activity of most businesses. Marketing with its focus on product, price, promotion and place [the traditional marketing mix], drives all the other activities. Price is the most elusive among these marketing mix variables in terms of making pricing decisions. Controversy is frequently engendered by disagreement between accountants and marketing personnel when deciding the appropriate price for a product or service. In the long run the price established must be viable to remain competitive, and at a level which covers all costs, including marketing costs. Since marketing costs account for 40 to 50 percent of total costs and since pricing is a major marketing decision, understanding the cost-pricing relationship and its application to market profitability analysis is vitally important in any business situation. This post overviews cost-pricing relationship based on literatures and researches ever available whose discuss this topic in the past; cost concept and issues, pricing concept and issues. I gathered all this information from books and internet, citation is shown wherever due. I hope this is a contribution for building basic knowledge of the cost-pricing relationship. Enjoy! Many different labels are subsumed under price: rent, fees, fares, etc. It is the amount of money paid in exchange for a product or service. From a marketing perspective, price must reflect the perceived value of a firm’s product to a customer. If it is set above perceived value, the firm risks pricing its product out of the market. If it is set below, it may not be viable to offer this product line. Price is thus a major determinant of buying behavior, as well as the source of revenue for the firm. Different philosophies underpin the different approaches to price determination. Market-based pricing has an external focus, with a pricing strategy that is particularly responsive to customer’s demand function, competitor’s prices, threats from new product entries, in addition to the firm’s cost structure. Understanding the impact of long-run costs is important for assessing profitability in competitive markets, but market factors are key considerations for this “market-based pricing approach“. In contrast, “cost-based pricing“ is essentially cost driven and is more prevalent in a production-oriented environment than in the more marketing-oriented environment today. Production cost sets the stage for price determination, usually a simple exercise of applying a markup on cost to yield a required gross margin or target return on investment. Hence, the term “markup pricing” is widely used to describe this approach. As Kjaer-Hansen  pointed out, in the post-War marketing environment, this “old fashioned pricing system“, based on a summation of ascertained costs, will not be capable of satisfying the requirements introduced by the modern trend of demand conditions” [p. 216, Financial Dimensions of Marketing, 1981, where he is quoted]. Yet, the legal implication of the cost base used for pricing is important for marketers when there are charges of predatory pricing practices with the effect of adversely affecting competition. Committe & Grinnell  and Ursic & Helgeson  point out that after 1975 the courts explicitly began to apply “cost-based standards” to predatory pricing cases. Various cost concepts were applied by the courts, including average-total cost and marginal cost, with one interpretation of the latter being short-run variable cost. To assist companies in answering pricing practice queries in court, Ursic & Helgeson  suggest that prices be set, if possible, above marginal cost or average variable costs or even above average-total cost. The marketing literature is replete with descriptions of pricing techniques which are usually variants of the two basic types just explained. Examples are Kotler’s  markup pricing, target-return pricing, perceived-value pricing, going-rate pricing, and sealed-bid pricing; price adaptations such as geographic pricing; and other pricing categories such as loss-leader pricing, image pricing, and two-part-pricing. Pricing policy is imperative for a firm with the price established at a competitive, yet reasonable, level to the customer, and which also provides an adequate return to the firm. The pricing decision therefore is among the most important considerations in marketing, yet formulating a successful pricing strategy can prevent marketers from becoming too preoccupied with the market place, and accountants with margins, costs, and turnover ratios. The importance of a marketing-accounting interface is described in a later section. Costs, as perceived in conventional accounting, are monetary units paid in return for goods and services. Behind this seemingly easy definition lies a gamut of cost concepts, each delineating possibly different cost elements.
. Costs identified by behavior in relation to volume of activity, into variable costs, semi-variable costs, and fixed costs. An understanding of cost behavior is necessary in cost-volume-profit analysis, which is a useful accounting tool for marketing analysis. For example, in segment profitability analysis, cost-volume-profit relationships are invoked to determine the volume at which segment revenue just covers its specific costs. Moreover, useful information is generated about the sensitivity of segment contribution to volume fluctuations. Another area where marketing cost analysis is based on cost behavior patterns is flexible budgeting. Flexible budgets are prepared to show costs at the different levels of sales activity, which can be used for performance evaluation purposes. Comparing the actual costs with static budgets would be misleading.
. Costs identified to cost objects [e.g., products, departments] such as direct costs and indirect costs. Direct costs traceable to marketing departments or sub-units of marketing departments provide reliable input for performance analysis of these departments and of their respective managers. Costs identified by differences in time horizon into short-run and long-run, and by their relevance to short-run pricing and other decisions, like using differential costs in decisions concerning acceptance of one off orders and product abandonment.
. Costs identified by controllability into controllable and non-controllable costs for a marketing department. Uncontrollable costs will be the allocated costs including those of corporate headquarters, frequently described as common costs. This classification has particular application to performance measurement of marketing departments. These classifications of costs are not mutually exclusive. For example, depending on the situation, relevant costs can be variable and fixed, or direct and indirect. “Direct variable costing” which treats only variable costs as production costs is of significance to marketing mainly because of its emphasis on the contribution margin approach. Contribution margin represents the excess of sales over variable costs, including variable marketing costs. This contribution approach has been recommended for market segment profitability analysis [American Accounting Association, 1972] and for making marketing decisions such as product introduction, product abandonment, and pricing. “Variable costing“ has been specifically recommended for consideration by companies with international business activities. Since such companies are removed, both politically and geographically, from the domestic markets, and since they are likely to have different objectives in different countries, with different demand and competition, the charging of different prices in different countries is seen as having more applicability internationally than domestically. Variable costing could facilitate such differential pricing [Weekly, 1992]. In “absorption [full] fixed manufacturing costs” are also part of the costs of production or inventoriable costs. This method is invoked if both direct and indirect costs are assigned to the market segments. Horngren et al. also found strong support for “full product costs” for pricing decisions in various cross-country studies. Mills’s  conclusion, therefore, that “the dysfunctional effects of full/absorption costing reliant on arbitrary allocation methods may be of less importance in practice than in theory” is probably valid. Marketing costs can make up to 50 percent of total costs for some products [Stevenson et al., 1993]. The accounting system, however, is oriented to the needs of external users, and secondarily to the needs of marketing decision-makers. Stevenson et al. discussed how activity-based costing [ABC] can be applied in an industrial marketing context. This new costing approach more appropriately identifies cost drivers related to marketing activities, such as advertising, selling, and marketing research time, so as to better allocate marketing costs to products. Lewis  also addressed the need to use ABC techniques for marketing functions, with emphasis on physical distribution: selling, warehousing, packing and shipping, and general office. Physical distribution costs “are a major factor in worldwide competition and should not be ignored in discussions of performance measurements and integrated cost systems” [Lewis, p. 34]. ABC is advocated to identify, classify, and allocate the physical distribution costs using appropriately identified cost drivers. Another application of ABC to marketing was cited by Yong et al. in the banking industry, specifically in relation to the impact on future product pricing of the allocation of mortgage department customer telephone center costs. By incorporating capacity utilization into ABC, to obtain a close approximation of long-run costs, strategic advantage in the market place could be assessed to enable decisions in relation to pricing and product entry/exit to be made more easily. Since “developments in ABC show great promise in delivering more reliable measures of long-run incremental costs” [Committe & Grinell, 1992, p. 58], this costing technique has been recommended as a worthwhile tool for predatory pricing cases for the measurement of long-run incremental costs. This application of ABC arose from several influential court opinions which indicated the need to rely on a “causation approach to cost measurement” [Committe & Grinell, 1992, p. 58]. In target costing cost is not used to set the price which is mainly determined by market conditions, but cost will affect a firm’s decision whether to market the product at all. The procedure involves assessing the market’s willingness to pay for a product which then establishes its target price. Working backwards, by subtracting the target profit, gives the target cost which the firm must hold down to through cost reduction efforts, or, if a new product, through improved product design. Drucker would call this approach “price-driven costing“, as opposed to “cost-driven pricing“. Product life cycle costing tracks and accumulates costs attributable to each product from initial research and development to final customer service and support in the market place [Horngren et al., 1994]. Since marketing costs represent a major component in a product’s life cycle costs, this costing technique has a useful marketing application. Understanding life cycle costing enables marketing managers to better manage marketing costs through separate identification of costs, not on an annual product-by-product basis, but over each product’s life cycle. This allows a comparison of the level of marketing costs incurred by different products, and assessment of the likely impact of the interrelationships among cost components. In relation to the latter, for example, significant reductions in the research and development and product design cost categories can lead to major increases in customer-service-related costs in later periods. Any discussion of costs and pricing underscores the importance of the cost-pricing relationship in marketing, already recognized by the American Accounting Association in 1972, but which still holds true today. Cost represents the ”floor for price” [Kotler, 1991] and a knowledge of costs is essential for pricing decisions which, of course, are also based on other market considerations. “Market segment profitability analysis” is essentially an attempt to analyze post hoc how costs and pricing decisions have resulted in specific profit outcomes. 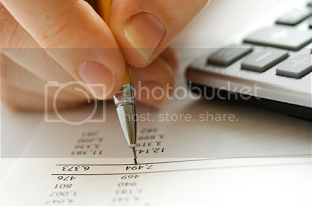 Profitability data for this purpose are normally generated by the accounting function. This emphasizes the importance of a constructive marketing accounting interface between these two functions. Overall, it does seem that much more needs to be done to improve the marketing accounting interface, especially in today’s global competitive environment. The view expressed by Trebuss [1978, p. 525] on the “limited attention this topic has received in business research and literature“ still rings true today.